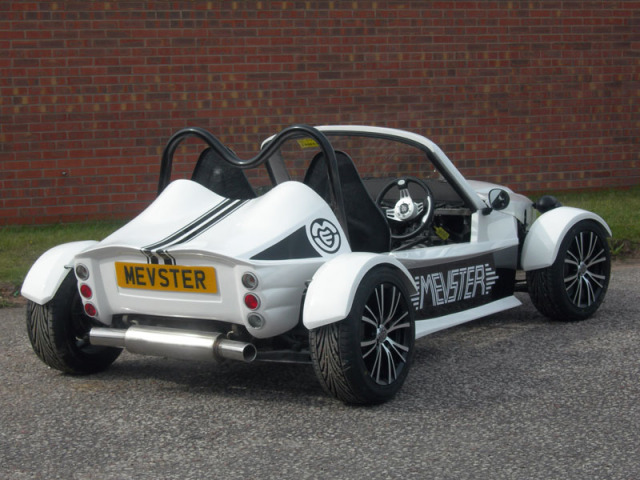 TotalKitCar posted up a notice about our designer Stuart Mills’ 25th vehicle design, the MEVSTER. Just like the Exocet, it is an easy Mazda Miata-based build that anyone with the desire to finish can undertake. With 25 designs already in the books, does TotalKitCar’s first Special Award recipient Stuart Mills ever sleep? In addition to praise for Stuart’s efforts, they also showed off Grant Wilson’s Ford 302-powered V8 Exocet – surely the maddest Exocet built to date!